Varied terroirs : clay-limestone terraces and sandy clay soils from Roussas, ancient alluvial deposits from the Rhone River with glacial rolled stones “galets” around St Paul Trois Chateaux. Mid-September to obtain the desired fruitiness and control the amount of alcohol while having sufficiently mature grapes. 45% Grenache, 45% Cinsault and 10% Syrah. Direct press in several batches - to account for the different varietals and the various terroirs and parcels. Low temperature fermentation in a temperature controled steel tank. Temperature controled fermentation for around 20 days. Bright and clear appearance, pale pink in color. Pretty nose with red fruit aromas of strawberry and raspberry. On the palate, the red fruits are balanced, the wine is lively in the glass with a nice length. 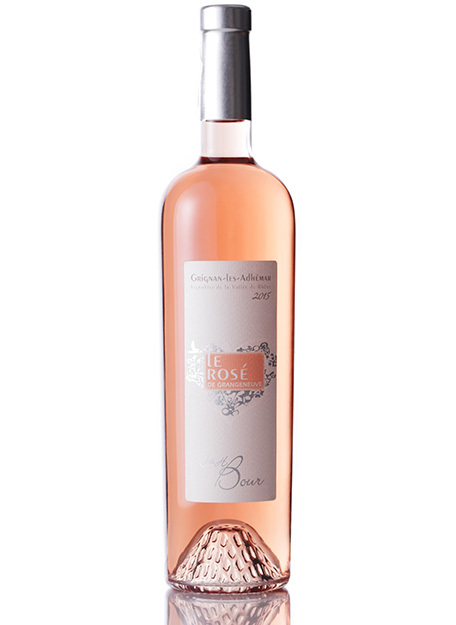 This rosé is elegant, fruity, and fresh, evocative of the “beautiful life” in Provence. Food pairing : aperitif, appetizers, charcuterie, grilled foods, paella, and Mediterranean food.